Contains over 20,000 topics and sub-topics cross referenced to over 50,000 verses. Topics were researched and prepared by Biblical scholars, and include contemporary topics relevant to today's issues. Also includes a 4,200 entry dictionary - concordance - thesaurus and over 95,000 center-column cross-references to enrich your reading. NASB Topical Reference Bible, Burgundy, Imitation Leather was published by Foundation Publications Inc. in August 2010 and is our 25363rd best seller. The ISBN for NASB Topical Reference Bible, Burgundy, Imitation Leather is 9781581351491. 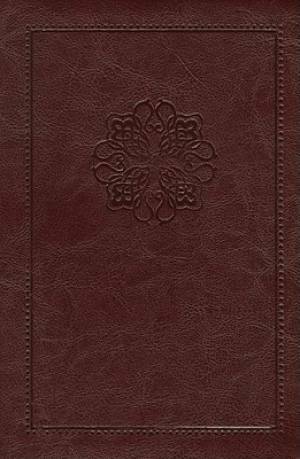 Be the first to review NASB Topical Reference Bible, Burgundy, Imitation Leather! Got a question? No problem! Just click here to ask us about NASB Topical Reference Bible, Burgundy, Imitation Leather.